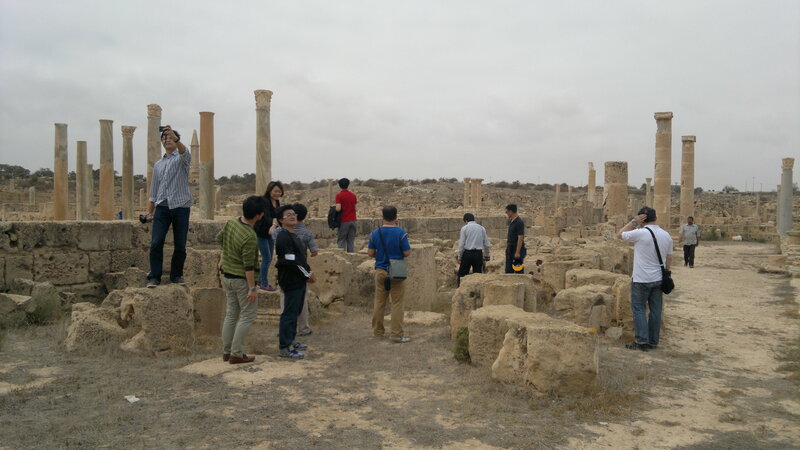 Day trip to sabratha tour to explore Sabratha Site, one of Libya’s world heritage sites, was originally a Berber settlements before the Phoenicians arrived to turn it into a busy trading port. The city enjoyed some success for a while, but then it was badly damaged by a number of earthquakes. 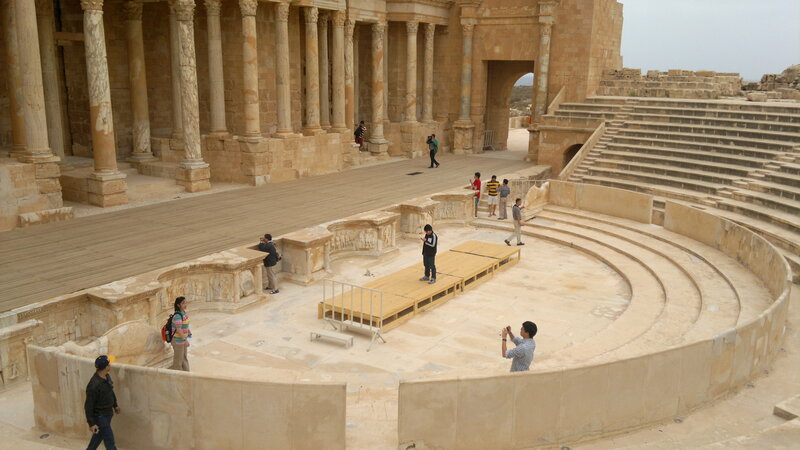 Sites to visit in this tour in Sabratha: Temples of Antoninus and Zeus, the Forum, the 2nd century Colonnaded Theatre, Sabratha Classic Museum, the Mausoleum of Bes, and the church with its unique mosaics. Tour Duration: 1 Day From 8 AM 6 PM. Highlights: Temples of Antoninus & Zeus, Theatre, Sabratha Museum. For 1 Traveller 110 Euro. For 2 Travellers 80 Euro Per Person. For 3 Travellers 70 Euro Per Person. For 4 Travellers 60 Euro Per Person. For 5 to10 Travellers 55 Euro Per Person. For More than 10 Travellers 60 Euro Per Person. Air-conditioned private car or van. Lunch at Local restaurant & soft drink. Pick-up from and transfer back to your hotel. Photography & video fees (where applicable). Anything else not specified in the above included services list. This is a daily tour. We advise to book this tour at least 48 hours in advance. Check in at the departure point at least 15 minutes before departure time. Children under 16 years must be accompanied by an adult.